There are now three village notice boards in Hemyock located at the Parish Hall, the entrance to Longmead and adjacent to Millhayes Hall. The additional notice boards at Longmead and Millhayes were erected in response to increasing village activities and the need for publicity. The Parish Council hopes that these and not telegraph poles will be used in the future. It was felt that the use of telegraph poles made the village look untidy. There was a robust but amicable debate about proposals to allocate land to the North of the cemetery for allotments at the February meeting of Hemyock parish Council. With land owners on either side of the cemetery refusing to allow their land to be used for access, allotment holders would need to use the main footpath through the cemetery to entrance their gardens. The Blackdown Hills AONB has commissioned Dr David Allen to produce reports on the biodiversity of six Blackdown Hills parishes including Hemyock. These will include distribution maps showing areas of important habitat or notable species and ideas for nature conservation action that the local community might like to pursue. Happy New Year from your Parish Council. Most of us are fit and healthy and are enjoying the snow. Some of our neighbours, especially the elderly, may view this weather with trepidation – not being able to get out to the shops, not having their friends or family come by to see them, etc. Do you have a neighbour who might value a visit today? 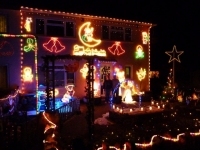 Devon County Councillor Ray Radford judged this years Christmas Decoration competition in Hemyock and found it a difficult decision to come to a final winner as there were some outstanding displays which really enhanced the whole village. Please could residents take care when parking their vehicles on the roadside that they do not park near road junctions causing bad visibility. Please use your driveways if possible and help to improve safety around the parish. Thank you for your consideration. 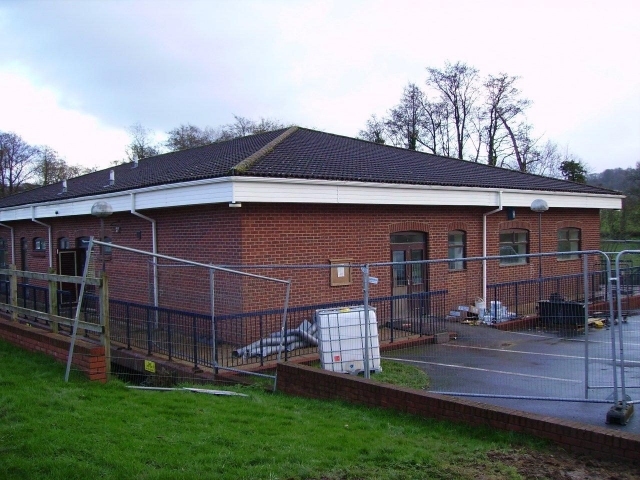 Work is under way on two major projects which will open in early 2010 in Hemyock. Buildings which were once part of the St Ivel milk factory in the village are being re-developed and returned to useful service. The former social club is being transformed into the Blackdown Healthy Living Centre which will provide a wide range of all age facilities for the Blackdown Hills rural community including a Day Centre for the Elderly, education facilities, a fitness studio, primary care intervention, rooms for complementary therapies and much more. Hemyock Parish Council have approved a modest increase in the Parish Precept for the year 2010/11 which equates to a rise typically of less than 3p per household per week. The Council heard that the increase was needed to fund a range of useful initiatives which would be of real benefit to the community. This included a pedestrian raised footway over the flood plain to the northern end of the village which would cost in the region of £40,000. In a recent questionnaire, 92% of those responding felt that the footway was necessary especially to those who lived on the northern side of the Culm River. Hemyock residents and businesses are being encouraged to enter into the festive spirit by externally decorating their homes and offices. The annual competition draws significant interest, with prizes given by the Parish Council for both categories. Devon County Councillor Ray Radford has been asked to judge this years competition. Further details may be obtained from the Parish Clerk Anne Kingston on 01823 680918. There is a keen interested in providing Allotments in Hemyock as evidenced by the recent village Survey. What we lack is land close to the village which can be used for Allotments. The Parish Council is seeking to lease land of between one and one and a half acres for this purpose on a long term basis. If you have suitable land available, please contact the Parish Clerk, Anne Kingston on 680918.